Bannu, Board of Intermediate and Secondary Education Bannu has started the enrolment of the candidates and the students will have to follow the BISE Bannu 9th class enrolment schedule 2019. 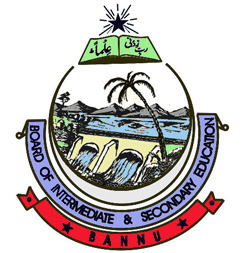 According to the Bannu Board Matric part 1 admission 2019 schedule, the candidates are asked to forward their admission forms with the payment of normal fee by the closing date of 30-5-2019 and the candidates will also submit the admission forms with the payment of late fee by 28-06-2019 for BISE Bannu SSC-I admission 2019. The candidates will also send their application forms with the late double fee by the last date of 03-08-2019. The rate of the admission fee for the regular and private schools are varied so the students will have to follow these rates of the admission fee. You Can Get BISE Bannu Admission Schedule Here.